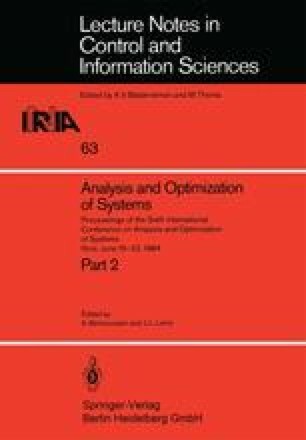 This paper describes algorithms for the optimal control of multistate systems. As a test problem we use the reaction diffusion equation governing the steady-states of an enzyme system. The originality of such problems is that the state is not uniquely defined as a function of the control.